Pop up displays are the most highly used form of trade show display, providing a portable trade show exhibit that sets up in just minutes. 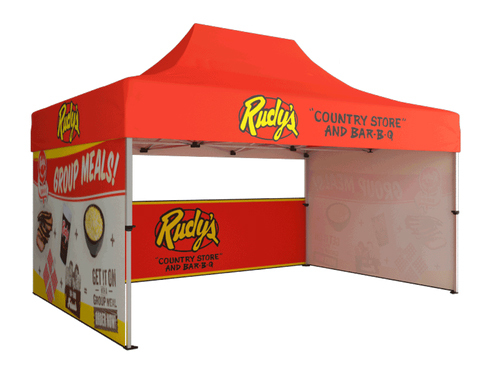 These portable popup displays are the perfect solution for any convention, conference, or event, allowing you to showcase your company and brand with high resolution graphics, that can be assembled in no-time. Choose from a variety of portable pop-up displays, made of premium aluminum, allowing your display to be light-weight and easy to transport. Be sure to add LED lights or optional accessories like prodium graphics to bring your trade show displays to life.